Watches for men can make a great present. Many men wear a watch every day so they can get a lot of use (be careful though, there are some men who are simply not interested). I like to trade in my "day" watch at least once a year for something new. I find this watch gets a fair amount of wear and tear and I like getting something different periodically. There are watches for different types of occassions. 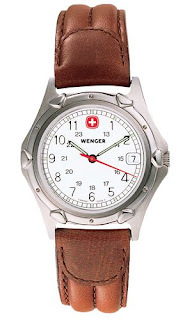 For example, a man could wear a dressier watch for when he is going more formal, a sports watch for when he is exercising, or a casual watch when he is casual. Some watches work well in many different situations and generally that watch will be the one that gets the most use. There is also the watch that can remind the man of a certain event, such as his trip to Disney with his family. CoolStuffForDads.com offers a great selection of men's watches. Be sure to check them out.